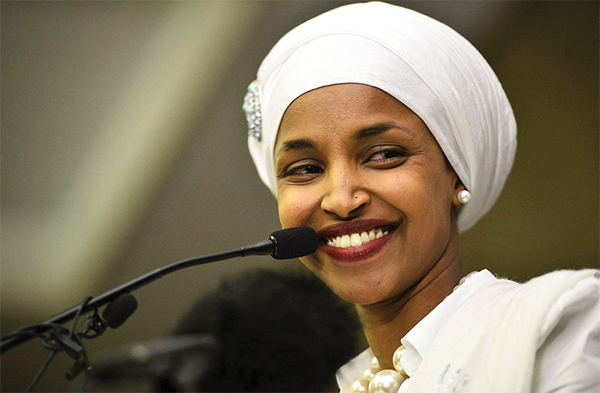 Newly elected Ilhan Oma (D-Minn.) supports the boycott, divestment and sanctions movement.  NOVEMBER 22, 2018 – The election of Ilhan Omar to the House of Representatives has stirred fears that the Democratic Party is turning against Israel. Omar, who will represent Minnesota in the next Congress, is the first Somali-American to be elected to the House. But she may also have the distinction of being the first open supporter of BDS – the movement advocating boycott, divestment and sanctions against the State of Israel – to hold federal office. She is far from alone in being hostile to Israel. Rashida Tlaib, who was elected to Congress from Michigan this month, is a Palestinian-American who also makes no pretenses about her views and has spoken about supporting those who advocate for BDS, though she hasn’t yet gone as far as Omar. Democrats are divided about the Jewish state with many influential Democrats highly critical. Most of their leadership, especially in the House, remains broadly supportive. Still, the key point is not whether Omar and Tlaib will have much of a say in determining what the new Democratic majority in the House does, but about what Democrats and Jews will do in response to an open expression of anti-Semitism. That is especially important at a time when, in the aftermath of the Pittsburgh synagogue shooting, so many are asserting that there must be zero tolerance for those who enable or facilitate Jew-hatred. Most of those comments are directed at U.S. President Donald Trump, who has, despite abundant evidence of philo-Semitism and unprecedented support for Israel, been accused of dog-whistling to the far-right. Yet now that Omar has dropped any pretense about support for an openly anti-Semitic movement, the onus is on Democrats and those in the organized Jewish world who wish to maintain good relations with Omar so as to not lose access to their member of Congress. They need to be at least as tough on someone whose ties to an anti-Semitic movement don’t require a sketchy and partisan method of connecting dots to ascertain their guilt, but are instead brazenly proclaimed. 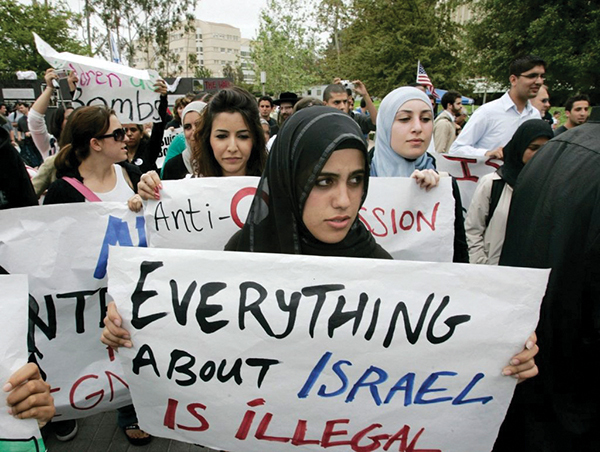 Muslim students at an anti-Israel protest at the University of California, Irvine. The first point to make clear is that BDS is an expression of anti-Semitism. Those who wish to deny to the Jewish people what they don’t deny to others – namely, the right to live in their homeland in peace and security– are committing an act of bias. Acts of discrimination against Jews are defined as anti-Semitism. Nor is there much doubt about this with respect to BDS because everywhere it raises its banners, open acts of anti-Semitic intimidation and often violence usually follow. As Students for Justice in Palestine – the main pro-BDS movement in the United States – makes clear, its goal is the eradication of the Jewish state, not an effort to change Israel’s policies or oppose Jewish settlements. Nor is there any comparison between anti-Israel efforts and opposition to other ethnic movements, like those of the Kurds or the Basques. Only opponents of Israel can muster an international movement aimed at opposing the expression of Jewish rights as uniquely sinister, and they do so employing the classic tools of Jew-hatred. Omar’s backing for an anti-Semitic movement crosses a red line about hate that would be considered unacceptable for any politician, no matter what their ethnic or religious origin, or their political party. That is why what is troubling about Omar is why her party and much of the organized Jewish world won’t seek to ostracize her. The obvious answer is that since she and Tlaib are the first Muslim women to be elected to Congress, many fear being smeared as Islamophobic for calling them out for their prejudicial stands. That’s why a group like the Women’s March, whose leaders are also tainted by anti-Semitism, retains mainstream support. Indeed, one of its leaders – anti-Zionist activist Linda Sarsour – went so far as to brand Jews who denounce Omar as being guilty of dual loyalty, another classic anti-Semitic trope. Yet when confronted with Omar’s stand, leaders of the Jewish community in Minnesota have been somewhat circumspect, stating their opposition but declaring the need for continued dialogue and a willingness to work together on other issues. Forging alliances despite differences is what Jewish community-relations councils do. But there is a difference between agreeing to disagree about social or economic issues in order to make common cause about vital interests and saying that support for an anti-Semitic cause doesn’t necessarily mark a public figure as beyond the pale. That is especially true for BDS, a movement whose real target is American Jewry. It’s not Israel’s powerhouse economy that is suffering as a result, but Jewish kids on college campuses, who are targeted for abuse and must live in a hostile environment created by BDS activists. They continue to be the victims of its efforts. Are Jewish Democrats and JCRCs so influenced by the myth that there can be no real enemies for Jews on the left in the age of Trump as to be unwilling to utterly repudiate any member of Congress who openly embraces anti-Semitism? What’s needed now is not more dialogue with Omar or groups like the Women’s March. Rather, it must be made clear that as long as they openly embrace anti-Semitic movements like BDS, there can be no acceptance of them under any circumstances. Anything less is a fatal compromise that gives unwarranted legitimacy to hate and undermines the security of Jews, no matter what political views they may hold. Jonathan S. Tobin is editor in chief of JNS – Jewish News Syndicate. Follow him on Twitter at: @jonathans_Tobin.